Posted by paripl110707 in Antioxidant, Better Digestion, Calories, Natural nFoods, Proper Bowel Movement, Thin Crust, Veggie Toppings, Whole Wheat. Most of us just can’t resist the smell and taste of a freshly prepared pizza. Though, we all are aware of the calories a slice of pizza feeds into us, we are actually not aware of the fact that we can reduce the number of calories we intake from a pizza by following just a few simple tricks. 1.) Insist on thin crust pizzas instread of a thick crust. 2.) Add more veggies as part of the toppings, this helps you get more fibre for proper bowel movement and therefore better digestion. Some veggies to consider can be Onions, Mushrooms, Peppers. They are rich in fibre and low on calories. 3.) Its the colas or the pepsi’s of the world that usually win when it comes to a side drink with the pizza, try replacing this with a lemonade or an ice tea. This will help you cut down the calories and at the same time, give you a shot of vitamin C and also anti oxidants. 4.) The best of all strategies, try to cut down the portion size. 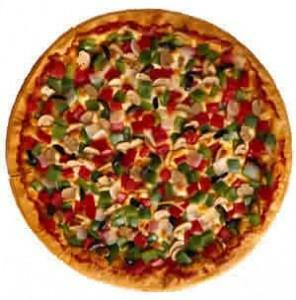 A bigger portion size effectively means more calories which comes from the refined flour used in the pizza. 5.) If you are preparing your pizza at home, try using whole wheat and tortillas for the base.